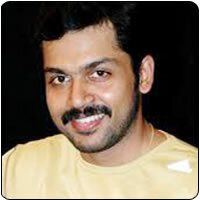 Cinematographer-turned-director Siva revealed recently that Karthi will be seen in nine get-ups for a song in Siruthai. The actor is keen on experimenting and was game for the nine get-ups when the director suggested it. The film has some comedy sequences which are sure to have the audiences roaring in laughter, says director Siva. Tamannah pairs up with Karthi for the second time after their success in Paiyya. Siva has two Telugu hits to his credit and Siruthai will be his first Tamil venture. The film is being shot extensively in Tamil Nadu and Karnataka.